Hoffman plays an actor, quite as temperamental and impossible as Hoffman himself evidently is in real life, who pretends to be a woman just to get a part in a daytime TV soap opera. Numerous writers came and went in production conditions that were apparently agonising, but for once little of this is apparent on the screen. The tone is quick-witted and appealing, with some of the smartest dialogue this side of Billy Wilder, and a wonderfully sure-footed performance from Jessica Lange (as her/his girlfriend). 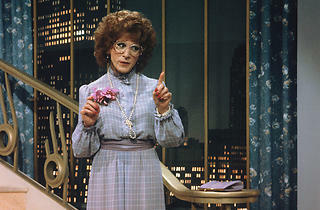 But the film never comes within a thousand miles of confronting its own implications: Hoffman's female impersonation is strictly on the level of Dame Edna Everage, and the script's assumption that 'she' would wow female audiences is at best ridiculous, at worst crassly insulting to women. 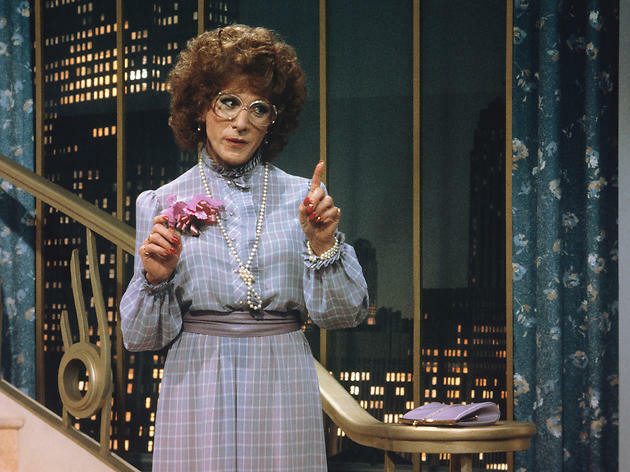 Provided you ignore this central idiocy, Tootsie is certainly one of the most polished situation comedies in recent years. But then the field has hardly been over-crowded.